Ideal storage for 1 bedroom apartment or studio. Perfect for a 1-2 bedroom apartment. Mattress set, couch, bike and boxes. Furniture and boxes from a 2-3 bedroom apartment/house. Refrigerator or washer and dryer, dining room set, couch & loveseat. 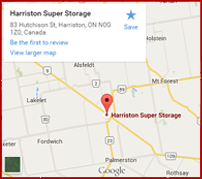 Great for a 3-4 bedroom house: Appliances, bedroom sets, couch, dining room, and some garage items.